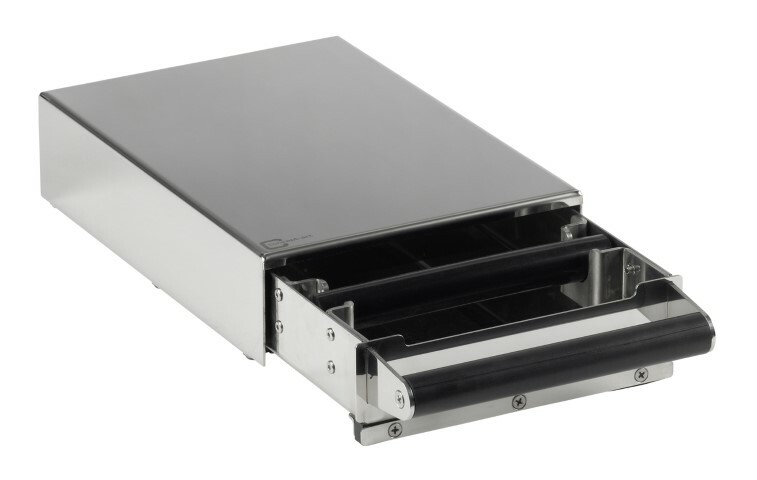 Knock Box Drawer Exclusive Slim a Professional Base for Commercial and Home Use.For an efficient and professional disposal of coffee grounds, we propose our practical knock box drawers as featured in a typical Italian bar. Installed underneath a grinder or espresso machine they save space, are unobtrusive and an indispensable tool for a Barista. DXSlim looks great beside Espresso Machines like a Quickmill, Bezzara BZ10, Isomac , Vibiemme or Rocket Espresso and ECM. 3 solid rubber feet and damped knock bar reduce noises!